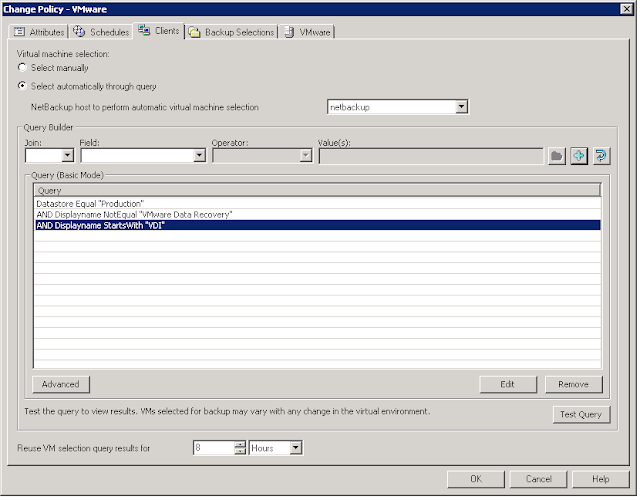 Symantec NetBackup has a special policy type named “VMware” which is a special flash backup policy. In this policy, you can easily create queries to automate the VM selection to be included in that policy. Also, the pagefile is excluded. 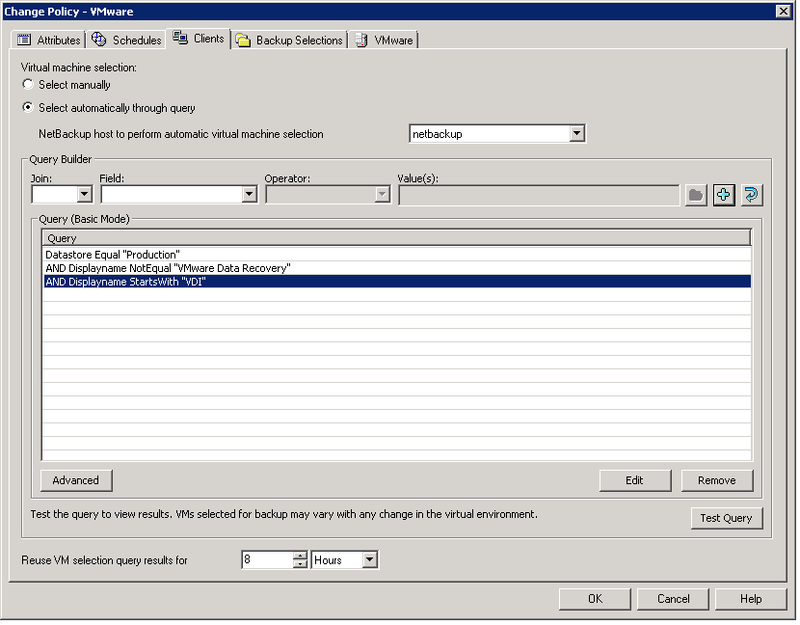 See image below for a sample query to backup all VM’s on datastore “Production”, not VM “VMware data recovery” and not all VM’s starting with “VDI”. A really nice feature is the test query button on the right bottom, this will show a list of VM’s which would be selected if the backup would run now. This entry was posted in netbackup, VMware.